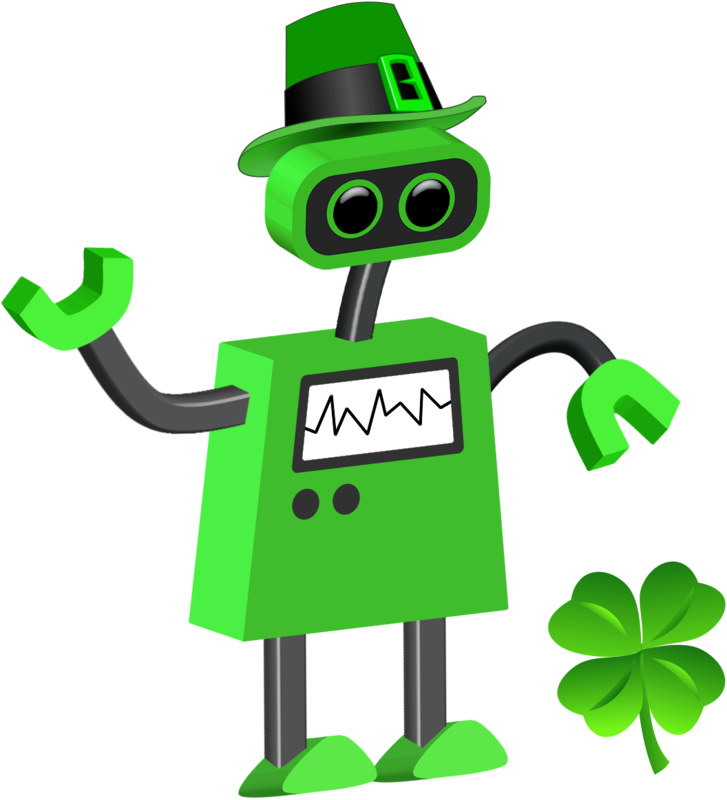 A kelly green robot reaches to pick a four-leafed clover. 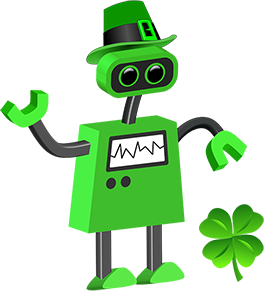 Appropriate for St. Patrick’s Day or any early March technology training, presentation, or workshop. This is just one image from a large collection of friendly robots and matching backgrounds. Each robot is available in three sizes and each background slide is available in both standard 4:3 format and wide 16:9 format. Scroll down for the larger sizes. The robots can add interest to presentations or function as a mascot or guide in other applications. All robots in the collection have transparent backgrounds and so can be placed on top of any background color or image.